Suzuki is known for launching quality motorcycles that fit the 125cc sporting range. As Suzuki wants to continue competing in this range, it launched the Suzuki GSX – S125. Although this segment of the market is overpopulated, the company hopes that the Suzuki GSX –S125 will do well. 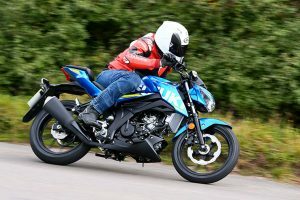 How does the Suzuki GSX – S125 fare against our expectations? Let’s check it out! Suzuki got the suspension spot on, even though both the front and rear ones are non-adjustable. As the suspension is firm and well-damped, the Suzuki GSX –S125 is extremely comfortable to ride in the city and on the outskirts. The front suspension is an oil damped, coil spring, and telescopic system while the rear suspension is oil damped, coil spring, and link type system. Even on bumpy roads the suspension never feels like it is on the softer side of tuning. As the height of the seat is 785mm, it is comfortable for riders of all heights. The rear and front brakes are wavy-type so that they can dissipate heat properly. The motorcycle also comes with ABS 10 from Bosch. While most riders find ABS to be obtrusive, Bosch has tuned this one to perfection, making it unobtrusive. The motorcycle’s braking power is progressive and sharp, allowing the rider to come to a halt quickly. Suzuki got the handling right for the GSX – S125 to fit the sporty title. The Suzuki GSX – S125 is agile and light on the road, giving the best handling experience for its price. The ground clearance on this motorcycle is enough to allow riders to put their knee down while taking a turn. Thanks to the Dunlop D102 rubber tyres, the grip on the Suzuki GSX – S125 is good in both wet and dry weather conditions. The turning angle for the Suzuki GSX – S125 is 40°, allowing riders to corner easily. 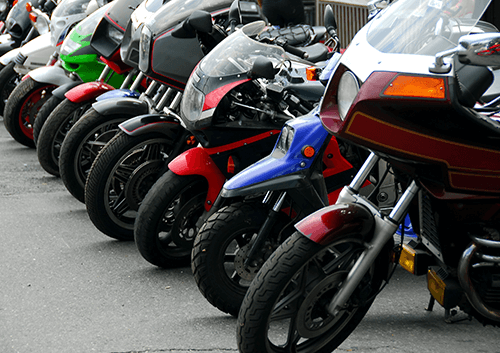 Handling is child's play because of the lightweight steering on the motorcycle. 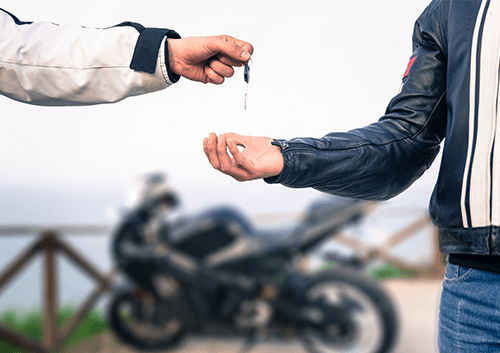 Suzuki made sure that the GSX – S125 is safe and secure from thieves. Its unique system will allow the rider to twist the ignition switch only when he/she is close to the motorcycle. 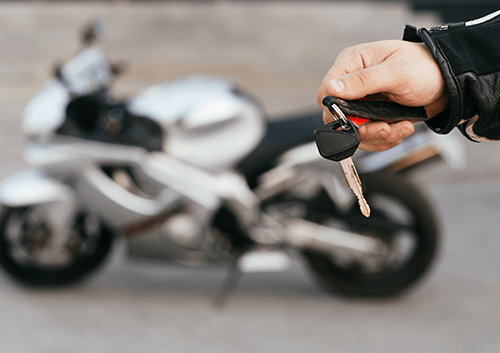 To make sure thieves can never hot wire the motorcycle, the manufacturer used a metal plate to protect the keyhole. The beast powering the Suzuki GSX – S125 is a DOHC, liquid-cooled, single cylinder, 4-stroke engine. The engine can produce 124.4 cc of power and 8.5 lb-ft of torque. As the motorcycle weighs only 133 kg, the power to weight ratio is ideal. As the tank capacity is 11 litres and the average consumption of fuel is 122 mpg, the motorcycle has a range of 296 miles, which is incredible. All in all, the Suzuki GSX – S125 is a really good sporty motorcycle. The motorcycle is lightweight and agile, allowing riders to navigate through traffic without any hassles. The suspension is spot on as the ride is comfortable, regardless of the condition of the road. For a price of £3,699, the Suzuki GSX – S125 is a steal!